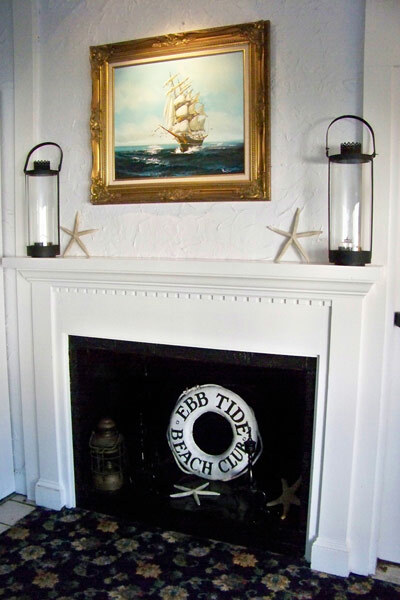 For many years a small Cape Cod sea captain’s cottage existed on the shores of Nantucket Sound. In 1959, the McCormick family transformed that cottage into a small but wonderful restaurant and named it The Ebb Tide. As the Cape grew, so did The Ebb Tide. 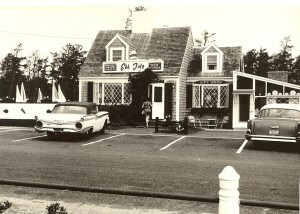 The Topside Lounge was added in 1975, along with it came a quaint outdoor terrace. That terrace was enclosed in 1984 and renamed The Garden Room. The McCormick family has carefully maintained the charm of the original antique cottage even as the restaurant has grown over more than five decades. From the foyer, in which you were greeted, the original cottage can still be seen, though now surrounded by the ever improved additions still taking place. 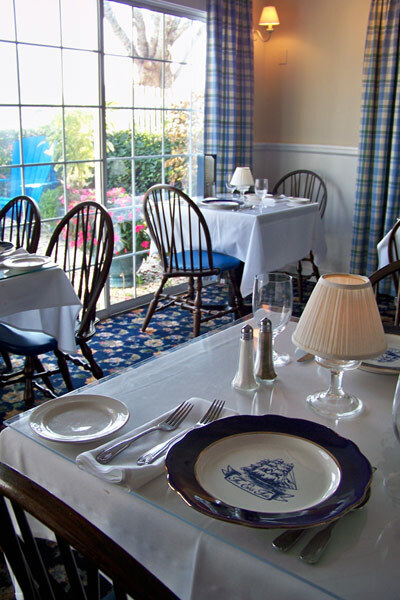 Like the restaurant itself, The Ebb Tide menu has grown from its rather humble beginnings to such classic New England cuisine as fish caught locally and served fresh daily to prime cuts of beef. Every change, every improvement, both in the building and in the menu, originates within the extended McCormick family. There is always a McCormick actively involved and on the scene, assuring their guests of their high standards in comfort and culinary pleasures. Caleb Chase was born in West Harwich in 1831, the last of seventeen children. Rather than go to sea as his other brothers had done, Caleb chose to work in his father’s ship chandler’s store which stood at 5 Depot Street, Dennisport, at the head of the wharf. The house is still standing and is a private residence. 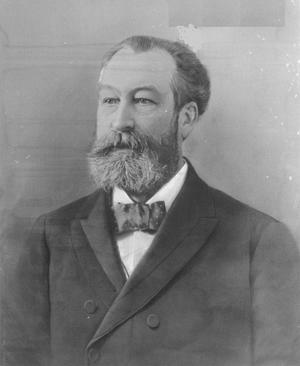 In his twenties, Caleb moved to Boston and in 1862 was one of the founders of the Chase and Sanborn Coffee Co. His picture is on the company label to this day. After marrying, Caleb and his wife summered in West Harwich at his ancestral home next to Herring River, now the Irish Pub. 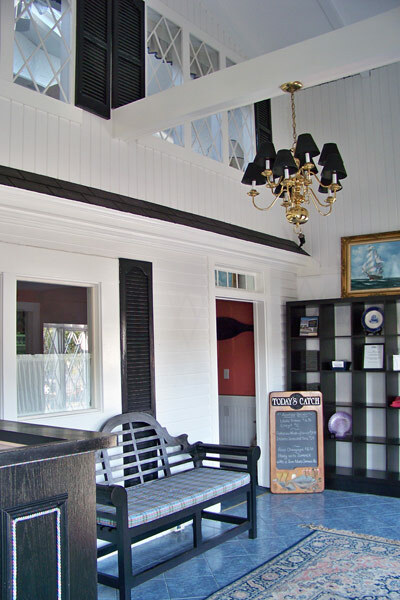 With his encouragement, many of Caleb’s friends visited Cape Cod “for the season,” staying at the new Hotel Belmont with their chauffeurs, maids, and nannies, as was the custom. In the 1890s, Caleb bought some vacant houses in the Searsville section of town (now Great Western and Searsville Roads) and moved them to some shorefront property he owned near the Belmont, inviting some of his friends to stay in them as his guests. They could also enjoy the amenities of the Belmont, such as superb meals, badminton for the ladies and tennis for the men and ballroom dancing in the evening. In 1901, Caleb arranged for the building of the breakwater at the entrance to Herring River to accommodate his and his friend’s boats and also to help local fishermen. In 1904, Caleb purchased Captain Martin Thompson’s house and had it moved to 88 Chase Avenue (where it sits today, right next door to the Ebb Tide) and added it to his complex, bringing the number of houses to seven. Caleb Chase died in Brookline in 1908 and was brought “home” to Cape Cod, for a service in the West Harwich Baptist Church (still standing at Belmont Road and Route 28) and burial in Pine Grove Cemetery in West Harwich. With all his money and high position, Caleb Chase remained a humble man – giving freely to public and private interests. At his death, he left $5000 to the Town of Dennis to be used in support of the poor. This fund is still active in our town. The Chase Library in West Harwich was funded by him and still carries his name.